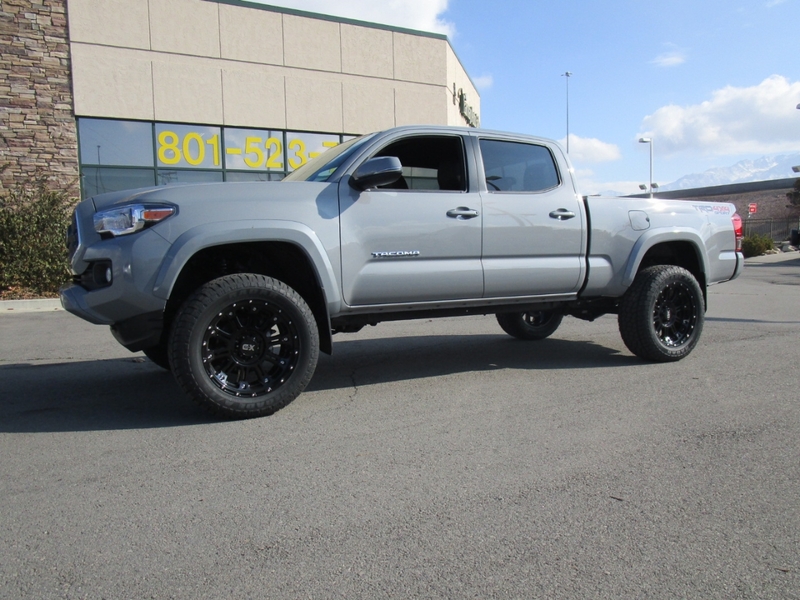 LEATHER INTERIOR LOADED UP..... NEW 2019 TRD SPORT LONGBED 4X4 LOADED UP........NEW 3 INCH LIFT ON FRONT & 1 INCH ON REAR.... NEW CUSTOM XD 20 INCH WHEELS & TIRES..... LEATHER INTERIOR WITH HEATED SEATS........ POWER SUNROOF....... FACTORY NAVIGATION SYSTEM........ BACKUP CAMERA......... PUSH BUTTON START.......... CRUISE CONTROL........ BLIND SPOT INDICATORS......... DUAL CLIMATE CONTROL SYSTEM.......COMES WITH THE REMAINING TOYOTA WARRANTY....... POWER SLIDING REAR WINDOW....... KEYLESS ENTRY WITH ALARM SYSTEM........ TRAILER TOW PACAGE......... POWER WINDOWS....... POWER LOCKS....... POWER MIRRORS....... ALLOY WHEELS....... and much more. Come see us today at FAIRWAY AUTO SALES located in Draper right off exit 291.